While each of these procedures has been around for a long time, there are common misconceptions as to the differences and benefits that they offer. Both focus on the structure of the body and its realignment but the approach sets the two therapies apart. Chiropractic primarily focuses on the framework of the body which are the bones and joints. The framework moves with the muscles and the fascia or connective tissue is what holds everything together. A chiropractor properly aligns a joint, in essence, resetting bones for improved function. Sometimes this can be a temporary solution and calls for repeat visits to the chiropractor because the adjustments do not hold. Rolfing is a system for reorganizing soft tissue, including, muscles, ligaments, tendons and the myofascial system. Rolfing requires a number of visits in order to penetrate the deep tissue in the body. Usually a series of 10 Rolfing sessions is sufficient to progress from the superficial layers of tissue and progressively work to deeper layers of tissue that have been effected by fixated connective—tissue patterns. So the contention of which is better is moot. They are complementary therapies. Each has its’ own targets and benefits and in fact, the employment of both can support one another and lead to a faster recovery for the client. 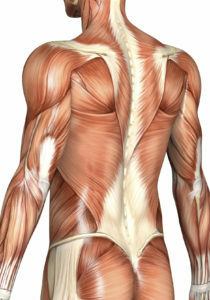 As a Certified Advanced Rolfer in Santa Monica, I am trained to work with the body’s connective tissues or Myofascial system. These tissues connect muscle to bone and are the basis for tendons and ligaments. The method is a process that focuses on reaching all levels of soft-tissue patterns which wrap deeply into the human structure. Ultimately a balanced tension is desired from the soft-tissue which allows the bones to move naturally into optimal functioning positions. People from all walks of life are able to benefit from Rolfing sessions for any number of reasons. Back pain, lack of mobility and stiffness, sports injuries and chronic muscular /skeletal problems as well as headaches and lack of energy are some of the most common complaints. Poor posture can also be corrected by engaging the 10-session Rolfing series. At the same time, people who are already physically fit such as athletes, dancers, fitness instructors, and the physically active use Rolfing to compliment their exercise regimes and to prevent injury I welcome the opportunity to work with anyone who is experiencing pain or limitation and needs treatment or wants to compliment their current health and exercise routine. Once you have completed a Rolfing series the body will continue to change. Continued improvement can be experienced by many after the sessions are completed. However, there are those who revisit a Rolfer on a periodic basis for tune up sessions. If you’re looking for a top Certified Advanced Rolfer in Santa Monica who provides free consultations, you’re in the right place. Call me, Bob Alonzi, at (310) 451-3250 today to schedule your Rolfing sessions and restore vitality to your body. I’ve helped people of all ages, with many different problems to achieve relief and better health. I look forward to working with you.